Jerusalem, Israel — May 16, 2015 … Following are Israel Prime Minister Benjamin Netanyahu’s remarks at the start of the first meeting of the 34th Government. “Despite all the ups-and-downs we had to go through to reach this moment, I am still moved by the position and I am certain that you are too. From this moment on we must leave disagreements outside this room and focus on good work for the citizens of Israel – all citizens of Israel. This new Israeli government will work with determination, responsibility and vigor in the face of all attempts to test our borders and our security from both near and far. Israel’s enemies must know that any threats directed at us has red lines. This has been our policy under previous governments and will be under the current government as well. Netanyahu concluded: “We will work to improve social welfare with emphasis on lowering the cost of living in general and housing costs in particular. 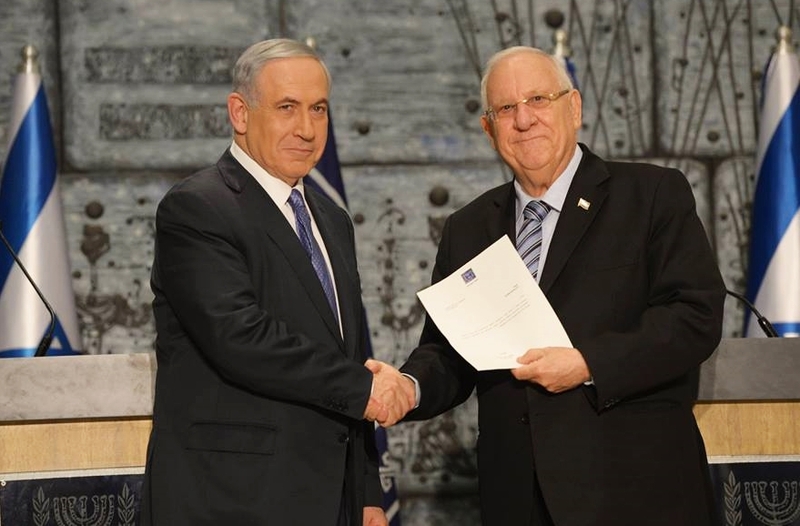 We will work to continue to reduce the gaps in Israeli society. We will continue to link the Negev and the Galilee with the center and to strengthen employment there and throughout the country. We are attentive to the cry of immigrants from Ethiopia and their families and next week we will form a special ministerial committee, under my chairmanship, to deal with this problem. We are obligated to work for the good of all Israeli citizens and we will do everything we can to justify the confidence the nation has vested in us. The Netanyahu government, which won by a landslide and formed after intense negotiations following the March 17 elections, finally took office almost two months after polling day. The vote on the new Israeli cabinet passed by 61 to 59 — representing the balance of forces in the Knesset: Netanyahu’s five-party coalition numbers 61 members (Likud, 30; Kulanu, 10; Jewish Home, 8; Shas, 7; and United Torah Judaism, 6), to the opposition’s 59 seats (Zionist Union, 24; Joint Arab List, 13; Yesh Atid, 11; Yisrael Beytenu, 6; and Meretz, 5). Was Israel’s SpaceIL Beresheet Moon Mission A Success? Don Pace on Obama’s anti-Semitism – With Netanyahu Win, What’s His Revenge? Malyn on Netanyahu Declares Victory – Will Obama, OneVoice Face Prison? Patty on Will Mossad Give Evidence to Senate Probe Of Obama Ties to Anti-Netanyahu Effort?